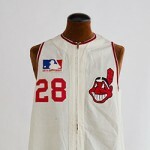 TEAM: Cleveland Indians, Washington Senators, Kansas City Royals, Cincinnati Reds, California Angels, St. Louis Cardinals. Scheinblum had a notable career that peaked with an appearance in the 1972 All-Star Game. Born in the Bronx, he was signed by the Cleveland Indians. A switch hitter, he made his Major League debut in 1965. He then went up and down between the majors and minors for several seasons. Eventually, after a short stint with the Washington Senators, he landed with the Kansas City Royals in 1972. There, he enjoyed his best season, hitting .300. He was the starting rightfielder for the American League All-Star team, grounding out in his only at-bat. However, despite the strong year, Scheinblum never found a regular role in subsequent stops with Cincinnati, California and St. Louis. Did you know? Scheinblum wound up with a .263 batting average during his 8-year career.